Good questions! And we have answers! Seeing a Physical Therapist may be exactly what you need for your torn meniscus or arthritic knee, herniated disc, labral tear, you name it. That’s often the best time to see us and save yourself a surgery or years of injections for chronic pain! 1) Cartilage naturally tears. Tendons eventually wear out (picture a rope that frays when it rubs against something or merely ages.) 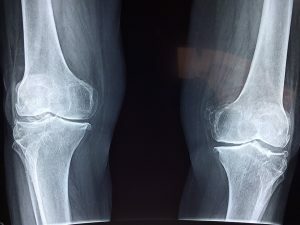 Joints naturally get worse not better (essentially the wrinkles we don’t see until we have an x-ray or MRI.) As long as we’re living though, these tissues also naturally heal, depending on the type and location. Above, you can see an animation of what tendons look like under a microscope. Left side: normal. Right side: wear and tear. Fraying and weak. This is precisely what PT is designed to treat. 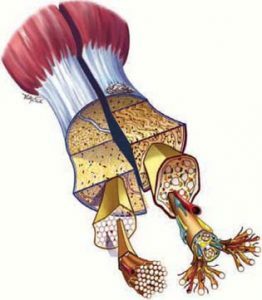 Research has shown that by loading these tendons with exercise they get stronger, less inflamed, and less sore. 2) We don’t NEED our tissues to heal and be perfect to be pain free. To be pain free, we need to regain FUNCTION. Function means how everything works together. Good range of motion with our joints, myofascia, muscle strength and control, etc. We can have a shoulder or knee or hip with a cartilage tear or tendon tear and yet do great with some Physical Therapy because PT focuses on restoring the function of healthy tissue and rehabbing the dysfunctional tissues. 3) Each joint is only as healthy as the joints above and below it, and the whole system in general. This point is merely elaborating on the above point. If you have a weak hip, your knee and foot will suffer. But the problem is not the knee or foot itself, it’s the hip! We see this a lot. We are the only profession that looks comprehensively at how your back relates to your hip which relates to the knee then the foot and ankle. 4) Joints can’t be healthy long term without proper muscle function. Right? If we have no muscle tissue, our joints will wear out real fast. 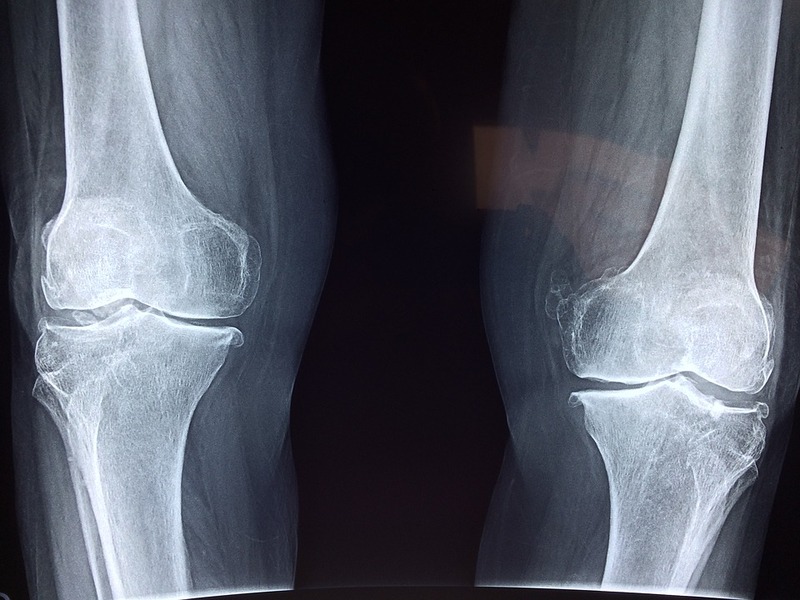 We see people with arthritic knees and as soon as we get their muscles stronger, they feel great! True! 6) Nerves can’t be healthy without good spine health. Nerves only work well when the spine does. So if we have some dysfunction in our spine, it is going to manifest as radiating pain eventually. Meaning, neck dysfunction might feel like shoulder pain or rib pain. Low back dysfunction might feel like hip pain or leg pain. 7) SHAM surgiers for meniscus tears and labral tears in shoulders are just as good (for the most part) as conservative care alone. ALWAYS ALWAYS ALWAYS consult with a trusted PT FIRST for any orthopedic/musculoskeletal pain. We are the most up to date, science based profession that specializes in all things neuromusculoskeletal.